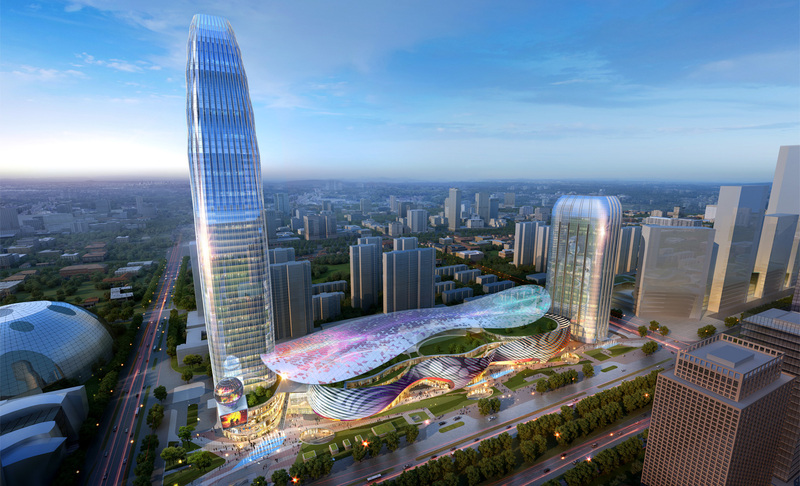 As part of a multi-billion-dollar urban redevelopment in Shijiazhuang, Parcel 15 is demarcated as the first phase of this multi-use City Center in its prime CBD corridor, creating a landmark with a key destination of retail, entertainment and workplace. 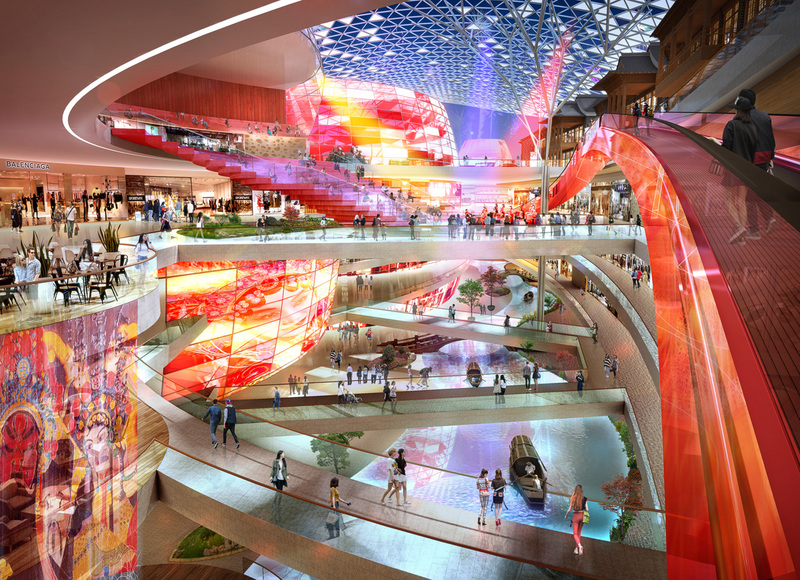 The development includes a five level Retail and Entertainment galleria and a 250m mixed-use office and hotel tower and a Serviced Apartment Tower. 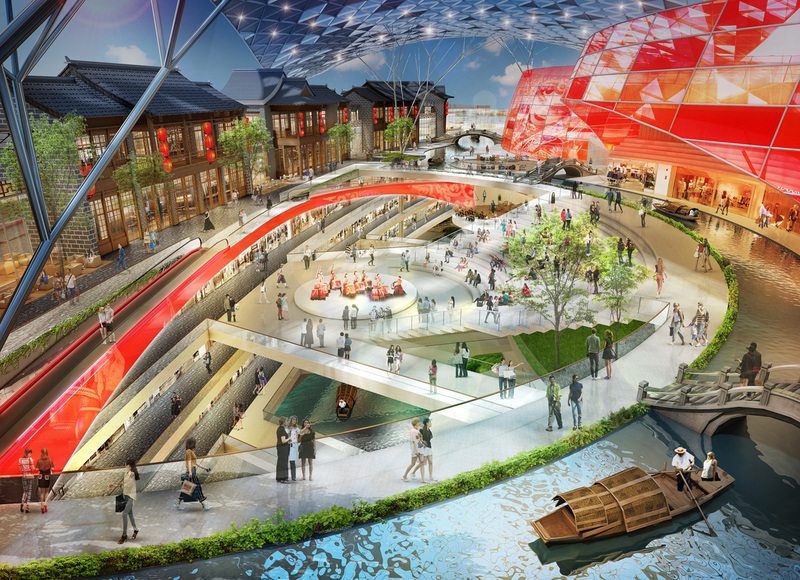 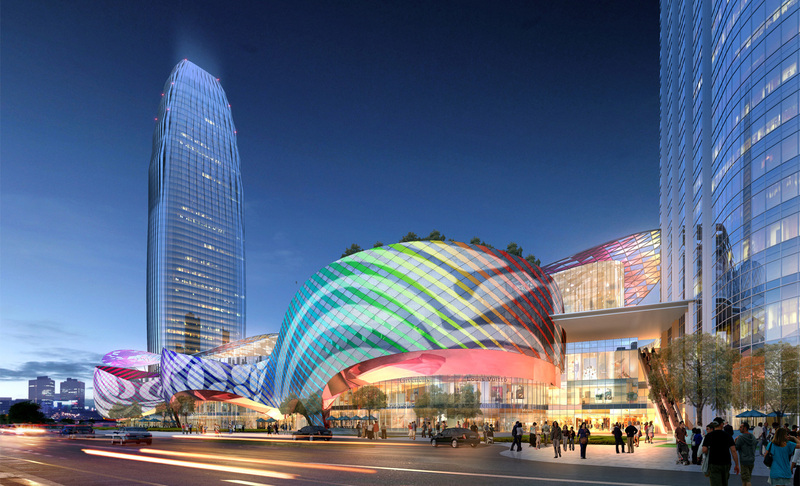 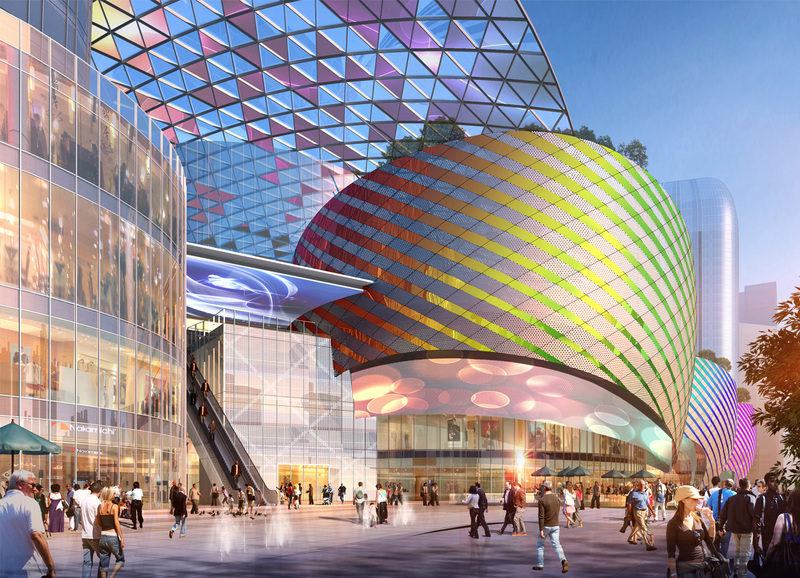 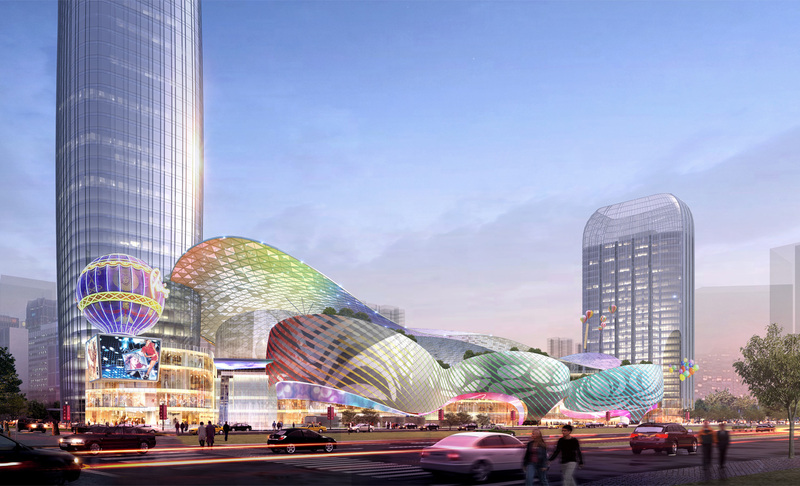 The Retail Center is designed as a vibrant podium with Chinese drum metaphor capped by an undulating “Cloud” structure, a free-flowing skylight covering a sixth level F&B and leisure destination designed in a traditional architectural language and resplendent with water features, performance plaza, lush landscaping, filtered light and vibrant graphics.